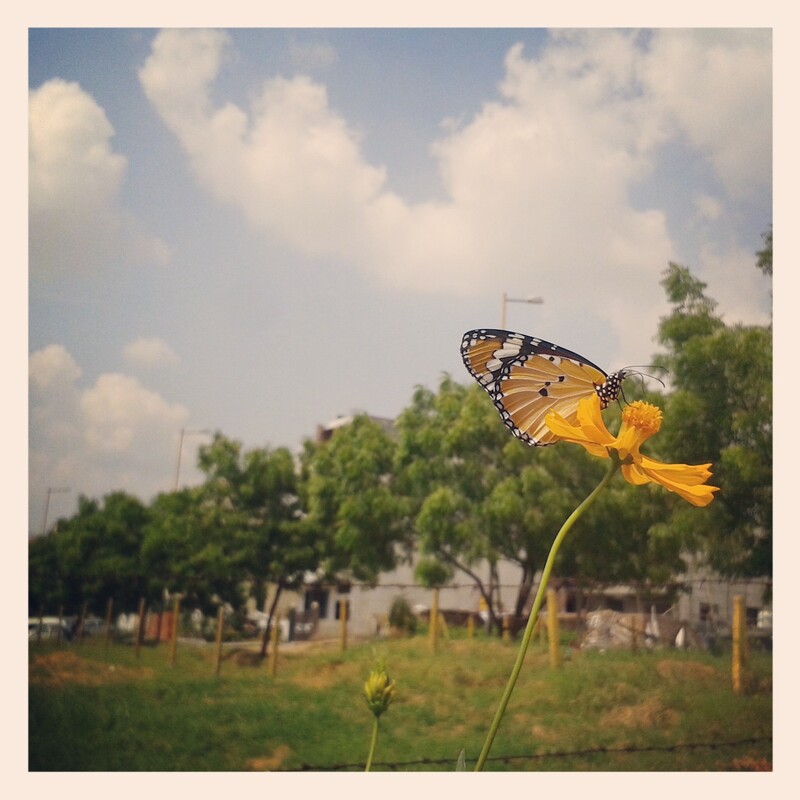 I was returning back home when I spotted clouds of butterflies, flitting on the wild flowers growing on the road sides. 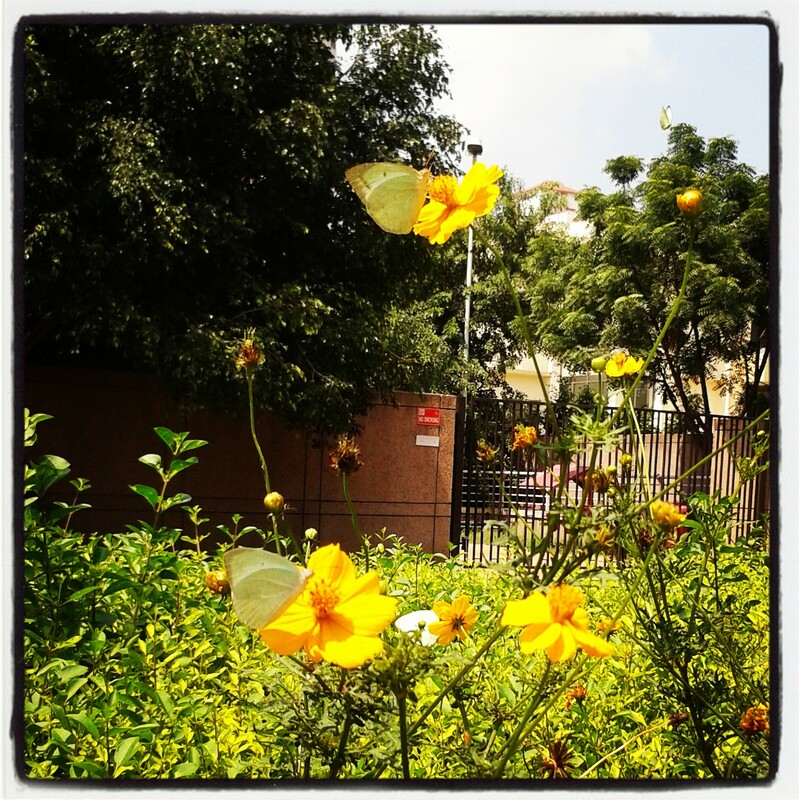 In fact, the roads were lined with these gorgeous daisy like blooms, ranging from deep orange to a vivid yellow. A backdrop of the blue skies with puffy white clouds smeared across them, made for the perfect backdrop for a great photo – op. Tempted, I hopped out of the car and was soon chasing the butterflies all down the roads. Small kids stopped by with glee plastered across their faces at my antics and waved to me. 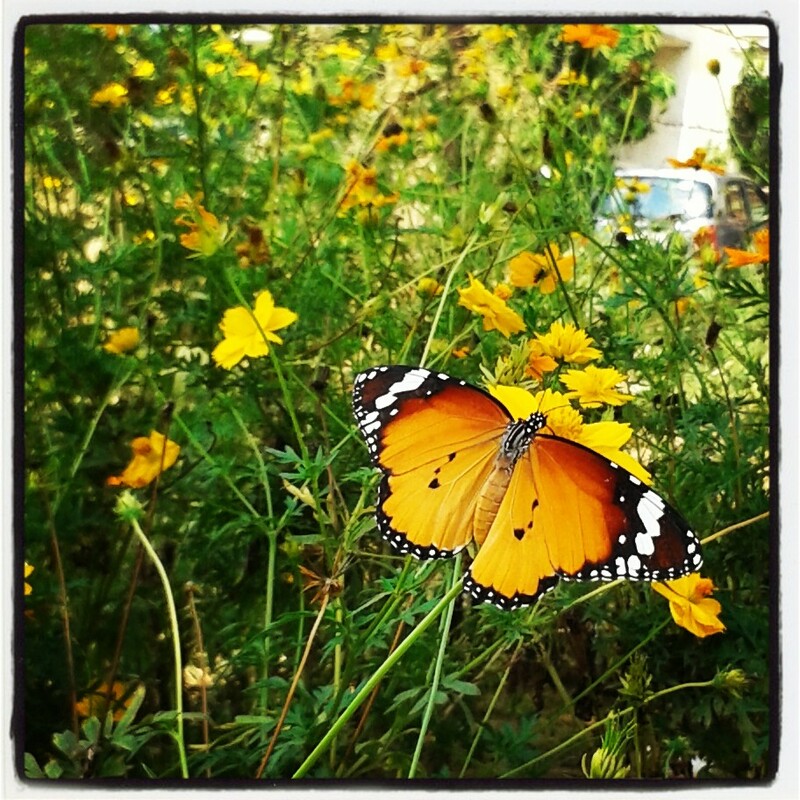 So there I was capturing the butterflies getting flirty with the wild flowers. I got common tiger, white cabbage butterfly and caught glimpses of the spotted red ones and huge black ones which eluded a camera capture. It was a fun afternoon, one that I will cherish for days to come! Previous Post Low cost airfare – no more!! 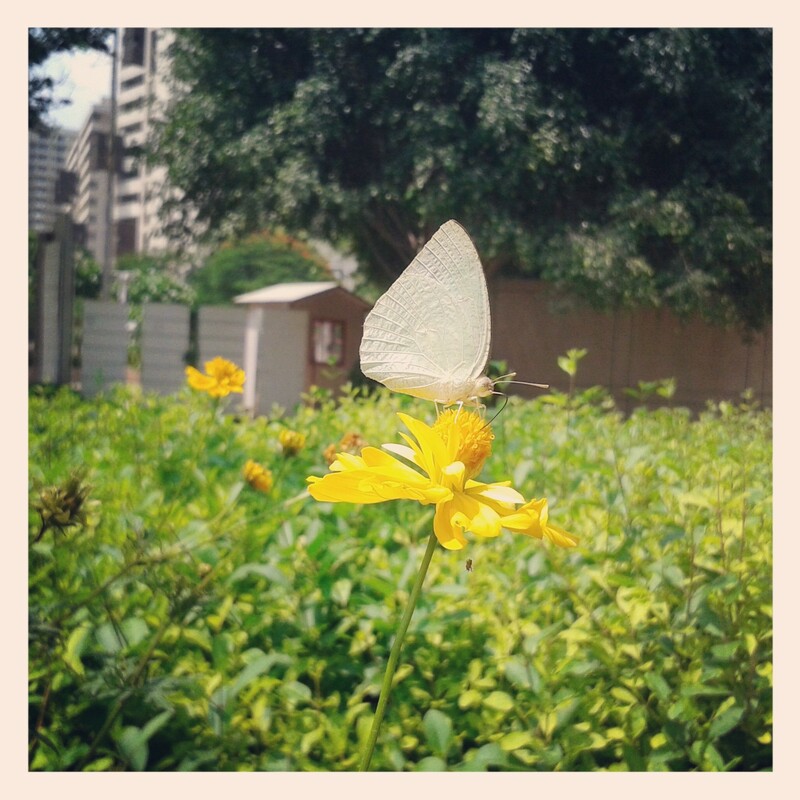 Next Post Suncity – living amidst nature’s lap!